Japan does love 'em some mobile TV. Now that 1-Seg digital goodness has been announced for iPhone users. 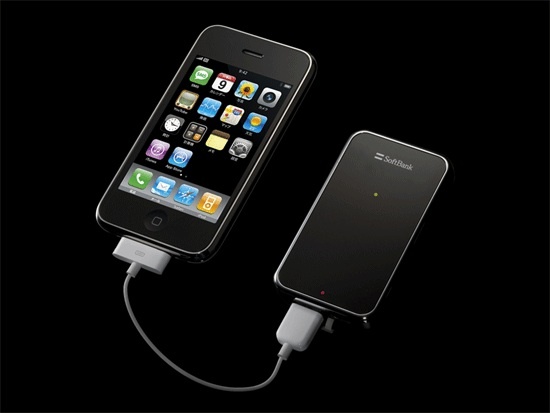 The 80-gram tuner provides a TV fix over WiFi and doubles as a battery extender when plugged into the iPhone 3G's dock connector. Trendy sidewalk zombies, the streets are yours. We'll update you with prices and dates when known. One more pic for size comparison after the break. Update: Official PR with specs (no price) is now out: 3 hours continuous 1-Seg viewing, 2-/4-hours charge via AC/USB, and available mid December along side a free 1-Seg application from the AppStore.